Choosing a Kia Certified Pre-Owned vehicle is a smart move for used car shoppers in Warrenton. 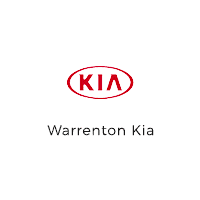 Here at Warrenton Kia, we are proud to offer an exciting inventory of these like-new, low mileage certified used Kia models. Whether you looking for a fun-to-drive Certified Pre-Owned Kia Soul, a versatile Certified Pre-Owned Kia Sorento, or one of our all-wheel-drive Kia models, we’ve got the used car, crossover, minivan, or SUV that will suit the style and budget of just about any Astoria area driver. Browse our current Kia CPO inventory, then schedule a test drive today! What Are the Benefits of the Kia Certified Pre-Owned Program? In order to earn certification, a used Kia model must be no more than 5 years old and have less than 60,000 miles on the odometer. Additionally, each Kia CPO vehicle must pass a comprehensive 164-Point Quality Assurance Inspection as conducted by our factory-trained Kia service technicians. Take your Seaside area used car shopping experience to a whole new level by choosing a Certified Pre-Owned Kia at Warrenton Kia. Check out our used vehicle specials, and determine the value of your trade-in, then visit us at 801 SE Marlin Ave Warrenton, OR 97146. If you’d like more information about the Kia CPO Program, please contact us online or call us at (503) 420-0125.